The Polytechnic Of Ibadan has officially released 2016/2017 Nd admission list. Procedure for payment of acceptance fee, academic clearance and tuition fees payment. You are expected to pay the ACCEPTANCE FEE on or before 16th December, 2016. Please note that the acceptance fee is NON-REFUNDABLE and DOES NOT GUARANTEE YOUR ADMISSION. Your ADMISSION is PREMISED on satisfying the MINIMUM ENTRY REQUIREMENTS. Note that under no circumstance would the date for the payment of acceptance fee be extended. • 2. Pay your ACCEPTANCE FEE with an ATM Card and complete your online biometric fingerprint capture. • 3. Print your ACCEPTANCE FEE SLIP and CLEARANCE SCHEDULE. • 4. Deadline for Payment of Tuition Fee is 16th December, 2016. 2. THE POLYTECHNIC, IBADAN APPLICATION SLIP. 3. 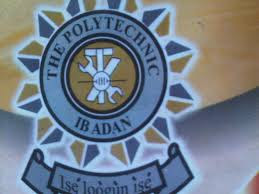 THE POLYTECHNIC, IBADAN PROVISIONAL ADMISSION SLIP. 4. THE POLYTECHNIC IBADAN ACCEPTANCE FEE RECEIPT. REGISTRATION FOR FRESH STUDENTS CLOSES ON 16TH DECEMBER 2016. CANDIDATES ARE ADVISED TO PAY TUITION FEE IMMEDIATELY AFTER CLEARANCE AND BEFORE CLOSE OF REGISTRATION. FAILURE WHICH THIS PROVISIONAL ADMISSION IS FORFEITED.